RadioArchive.cc is a torrent portal specifically devoted to spoken-word radio. The site deals primarily with content from the British Broadcasting Corporation (BBC Radio) but also dips into spoken-word material from other public radio networks. One thing for seeders to remember, RadioArchives.cc “ONLY ACCEPTS AUDIO MATERIAL WHICH HAS BEEN DERIVED FROM FREE-TO-AIR BROADCASTS VIA ANALOGUE RADIO / DIGITAL RADIO / DIGITAL TV / INTERNET STREAMING.” Those seeders who post audio from retail products will be banned from the site. 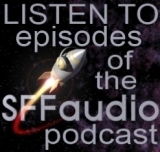 I think that SFFAudio and RACC have some shared common goals and interests in promoting the spokenword format as an exciting and viable way of supporting ‘spoken-word radio’ material in the dash for HDVideo which threatens to leave a lot of radio material unusuable just because there is no video to look at. We should hook up and try to be something which is greater thsn the sum of our parts. I say COOL! Contact me via skype would ya?